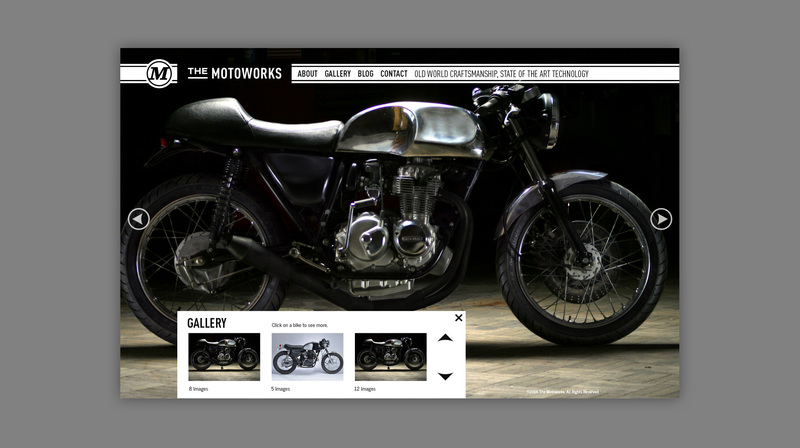 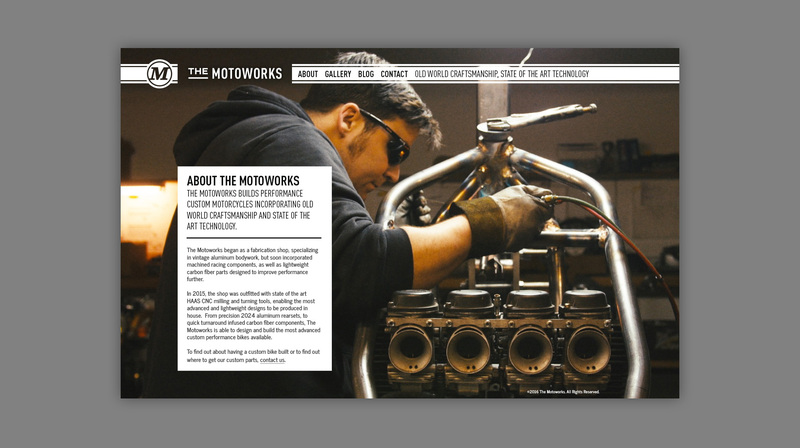 The Motoworks builds custom motorcycles—“cafe racers”—and custom motorcycle parts. 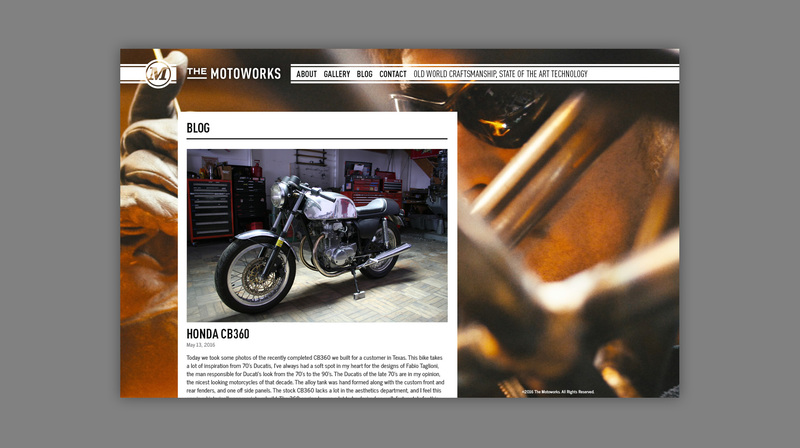 The work blends old and new through incredible quality and craftsmanship. 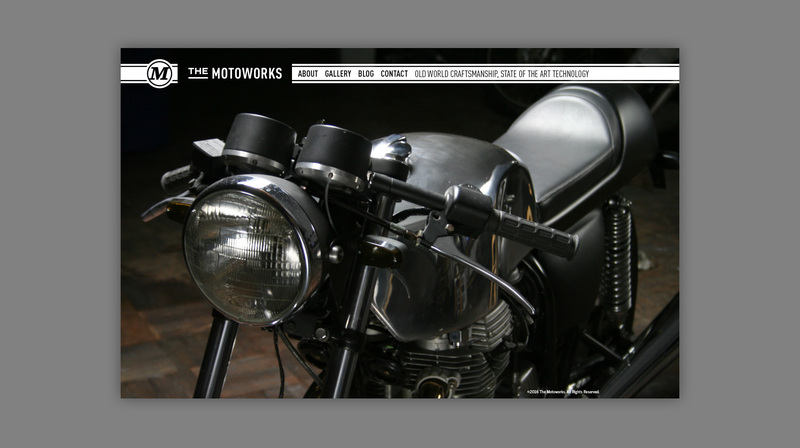 After designing the logo, we created this site for the shop, which really just lets visuals of the workmanship speak for itself.